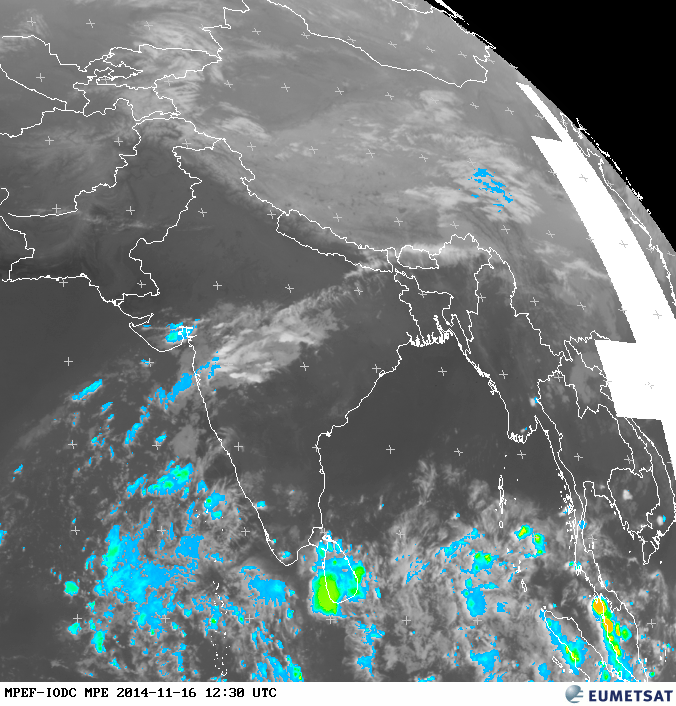 Though strong easterlies are back, the rains have been occasional and isolated. 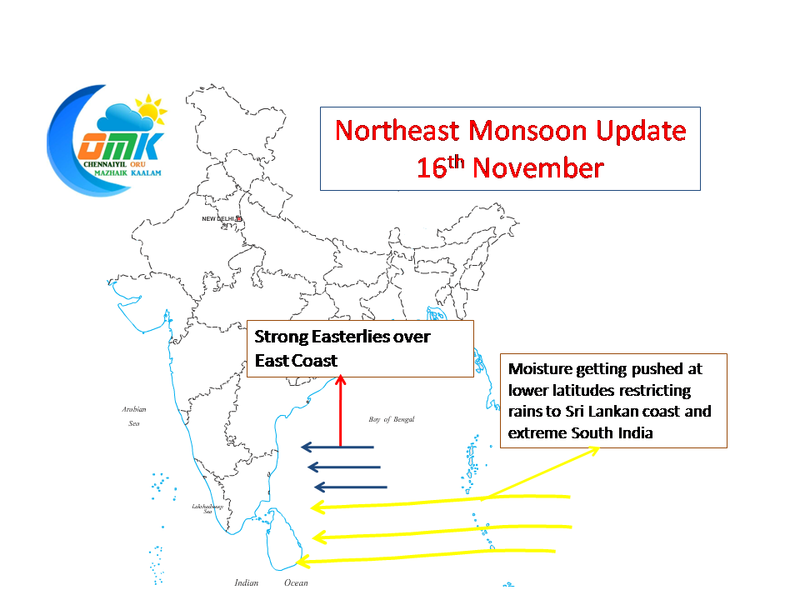 An update on why the rains are isolated and whats the forecast for the next few days to come. As usual we are trying to put simple pictorial representation of the analysis for better understanding. 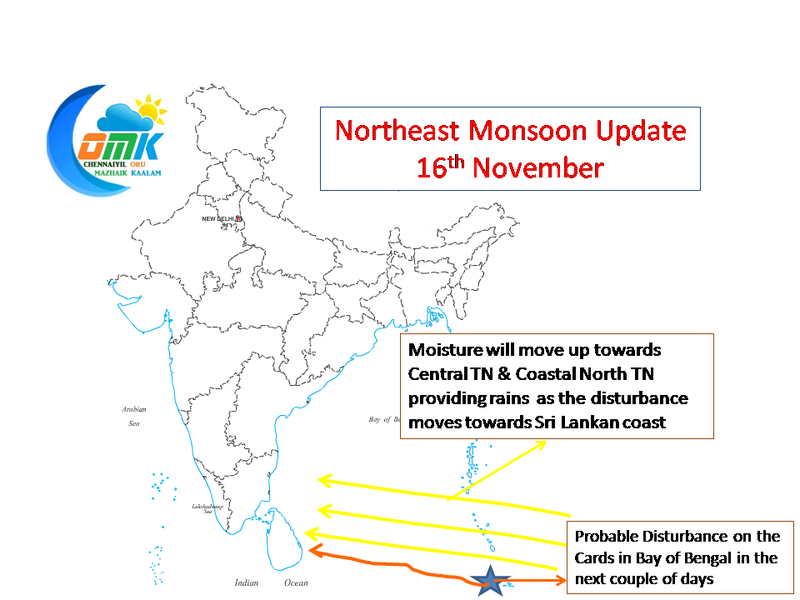 The moisture is currently available only along the lower latitudes which is giving rains to parts of South TN and most places across Sri Lanka. This is visible in the satellite and precipitation estimate maps show the presence of moisture along 8N latitude. Currently there is a weak disturbance to the North West of Sumatra Islands which is expected to move in a WNW direction towards Sri Lankan Coast. As this disturbance develops some convection and moves towards the Peninsula it would bring in moisture to the northern latitude as well for rains to Central TN and North Coastal TN. As has been the pattern this Northeast Monsoon season it appears the next round of rains for Chennai will happen mid week again.